Did you know you can now pay your bill online? Pay Now! Whether you ask for a simple maintenance program or a complete, integrated landscape design, Sunrise understands that it is what you, our client, want that is important. Wherever you are in Nashville, you will see our crews providing SERVICE to the residents and businesses of this wonderful city. Sunrise is proud members of many organizations and associations in the Greater Nashville area. We are members of Community Association Institute (CAI), Greater Nashville Apartment Association (GNAA), Institute of Real Estate Management (IREM), and the Nashville Area Chamber of Commerce, just to name a few. We also own the Flowermart by Sunrise. Located in the Green Hills area of Nashville Tennessee, Flower Mart provides a one-of-a-kind shopping experience customers have come to expect. The store, which specializes in annuals, perennials, tropical plants, landscaping materials, planters and insecticides is home to the area’s only Garden Center, which allows for customers to pickup their gardening materials and supplies at a great cost, convenient location and with the expert advice and customer service that they won’t receive any where else. Our award winning team offers a complete line of landscape design/install and maintenance services to exclusive commercial properties, townhomes, condominiums, Home Owner Associations as well as Office/Industrial Park clientele. Interested in meeting them? Jump to our get to know us, page! Landscape Laborer. 35 temporary/full-time positions with Sunrise of Nashville, Inc. from 4/1/2019 – 12/13/2019. 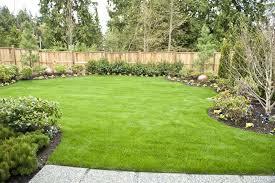 Landscape or maintain grounds of property using hand or power tools or equipment. Workers typically perform a variety of task, which may include any combination of the following: sod laying, mowing, pruning, trimming, planting, watering, fertilizing, digging, raking, and assist with sprinkler installation. Load/unload/move trees/shrubs/landscape materials; remove debris. Must lift/carry 50 lbs., when necessary. Saturday work required, when necessary. Employer-paid drug testing required of foreign and domestic workers prior to commencing work and post-hire upon suspicion of use and post-accident. Post-hire background check and employment eligibility (e-Verify) check required of foreign and domestic workers. Drivers license check for workers who drive company vehicles. Requires three months of previous landscape experience. The employer will pay in advance or reimburse H-2B workers in the first workweek for all visa, visa processing, border crossing, and other related fees, including those mandated by the government (excluding passport fees). For workers outside reasonable commuting distances, inbound transportation (including meals and, to the extent necessary, lodging) to the place of employment will be reimbursed, if the worker completes half of the employment period (“50% period”), if not already paid in full prior to the 50% period. Return transportation and subsistence will be provided or paid for to same worker if the worker completes the employment period or is dismissed early by the employer except where the worker has employment with a subsequent employer. Transportation payments or reimbursements will be equal to the most economical and reasonable common carrier for the distances involved. Daily meals will be provided at a rate of at least $12.26 per day of travel or the current minimum subsistence amount published in the Federal Register, to a maximum of $51.00 per day or the current maximum amount published in the Federal Register to workers with acceptable receipts. The employer guarantees to offer work for a total number of work hours equal to at least three-fourths of the workdays in each 12-week period of the total employment period, beginning with the first work day after the arrival of the worker at the place of employment and ending on the expiration date specified in this job order or its extension, if any. The employer may include all hours actually worked as well as any hours offered consistent with the job order that a worker chooses to not work, up to the maximum number of daily hours on the job order. If worker separation is due to voluntary abandonment, the employer will not be responsible for providing or paying return transportation and subsistence expenses of the worker and the worker is not entitled to the full three-quarter period guarantee described above. JOB LOCATION: 2707 Larmon Ave. Nashville, TN 37204 and multiple worksites within Bedford, Cheatham, Davidson, Dickson, Maury, Robertson, Rutherford, Sumner, Williamson and Wilson counties. Employer provides incidental transport between job sites. Raises and/or bonuses may be offered to any worker in the specified occupation, at the company’s sole discretion, based on individual factors including work performance, skill, and tenure. A single workweek will be used to compute wages due. The payroll period is bi-weekly. Workers are paid by check on Friday. The standard work schedule is from 7:00 AM until 3:45 PM, Monday through Friday. Employer will offer 40 hours per week. The worker may be offered more than the stated hours per day, depending on weather and other conditions. Extreme heat, cold, rain, or drought may affect exact working hours. The employer will make all deductions from worker’s paycheck required by law. The employer does not envision other workforce-wide payroll deductions. Potential elective deductions to be pre-authorized in writing if applicable are as follows: The employer will deduct for the reasonable fair market value cost of rent and/or utilities based on number of occupants for those employees who voluntarily elect to live in employer-offered housing. The employer offers voluntary employee health insurance and savings plans to its workers; participation in any such plan is voluntary. First set of uniforms will be provided free of charge. Additional uniforms are available for the employee’s benefit and may be purchased at the employee’s expense.